The now ‘nearly famous’ ladies only introduction to the wonderful world of off-road, beach & sand running along some of Norfolk's beautiful beaches & amongst its stunning sand dunes. This is our 3rd celebration of the 'THIS GIRL CAN' campaign to coincide with June 2019 - Norfolk's dedicated #thisgirlcan month - we have developed an event especially for girls only! Beach, Sand & Dune running is so often feared, but this really ought not be the case! Not only is off-road running highly beneficial in terms of building all over fitness, strength and endurance - it is also proven to help with general mental wellbeing and have calming effects to the mind from purely being thrust out in nature and the great outdoors! The THIS GIRL CAN 'DUNERUN' session is the perfect introduction to the huge joys and benefits of off road running - and really will be heaps of fun with other 'lovers of life' ladies. Will I need to have run before? In short - Yes, however you don't need to be the speed of Paula Radcliffe! This is an introduction to off-road running, so to have some running experience will be greatly beneficial to you in order to get the most out of the morning. We will have 2 leaders on the day - someone at the front and someone at the back - no one will get left behind, and a lot of the activities will be group based too. 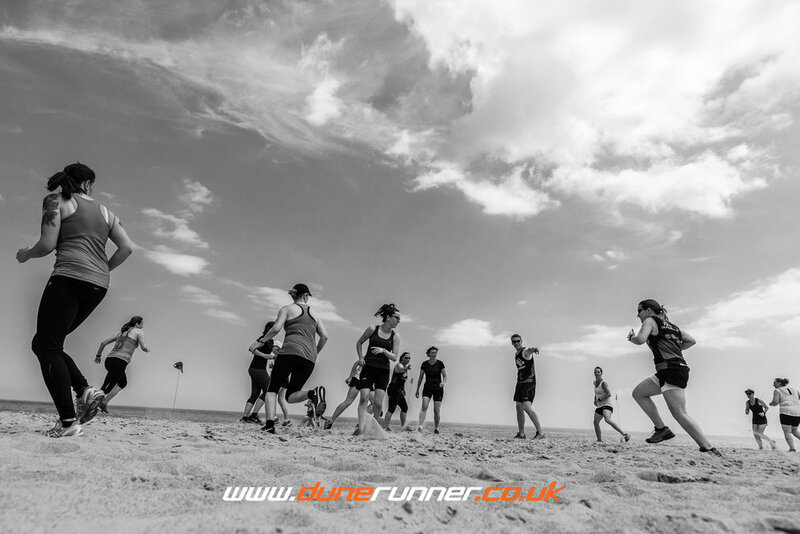 Running shoes - just a pair of good old running shoes - nothing fancy needed and you won't need the latest off road running spiky/grippy tread - just something comfortable that you wont mind getting filled with sand and potentially a little bit wet! Layers - when running outdoors and especially at the beach - layers are essential. However, it might be warm so a t-shirt/vest base layer & possibly a long sleeve shell type layer for onto - just in case it's a bit windy. The best advice is to dress for the weather! Water - As it's going to be June we can expect the temperature to be a bit warmer than January (although never guaranteed!). So please bring a bottle of water that can be easily carried during the activities.